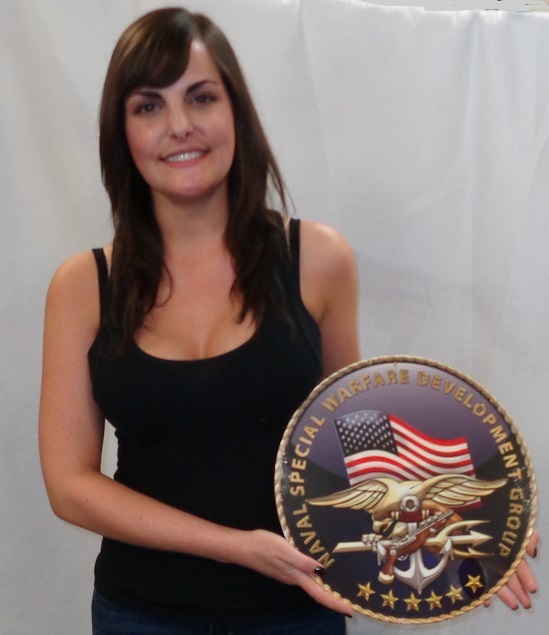 From Special Operations Group, presented by "Military Insignia 3D" collection by Serge Averbuk, this Naval Special Warfare Development Group Metal Sign measures 14 inches. This custom metal shape is hand made in the USA using heavy gauge American steel and a process known as sublimation, where the image is baked into a powder coating for a durable and long lasting finish. This custom metal shape is drilled and riveted for easy hanging. 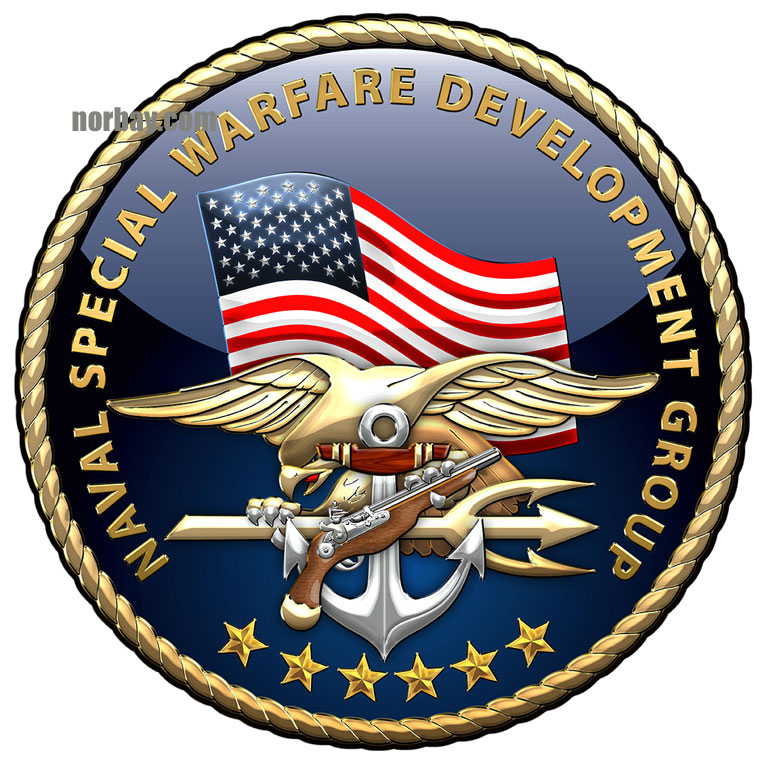 The United States Navy SEa, Air and Land (SEAL) Teams, commonly known as Navy SEALs, are the U.S. Navy's principal special operations force and is a part of the Naval Special Warfare Command (NSWC) as well as the maritime component of the United States Special Operations Command (USSOCOM). Navy SEALs can trace their roots to the Second World War. The United States Navy recognized the need for the covert reconnaissance of landing beaches and coastal defenses. As a result, the Amphibious Scout and Raider School was established in 1942 at Fort Pierce, Florida. The unit's acronym ("SEAL") is derived from their capacity to operate at sea, in the air, and on land – but it is their ability to work underwater that separates SEALs from most other military units in the world. The experience gained from operating in the ocean and freshwater battlefields has shaped their identity and, as a result, they are regarded as being amongst the most highly skilled and trained amphibious units in the world. Navy SEALs are trained and have been deployed in a wide variety of missions, including direct action and special reconnaissance operations, unconventional warfare, foreign internal defense, hostage rescue, counter-terrorism, and other missions. Without exception, all SEALs are male members of either the United States Navy or the United States Marine Corps. Received order today and the Special Forces decals are great! Super quality and design that made it a breeze to stick on a glass surface.